Silver tone metal automatic door bolt, spring loaded, black push button, easy installation. 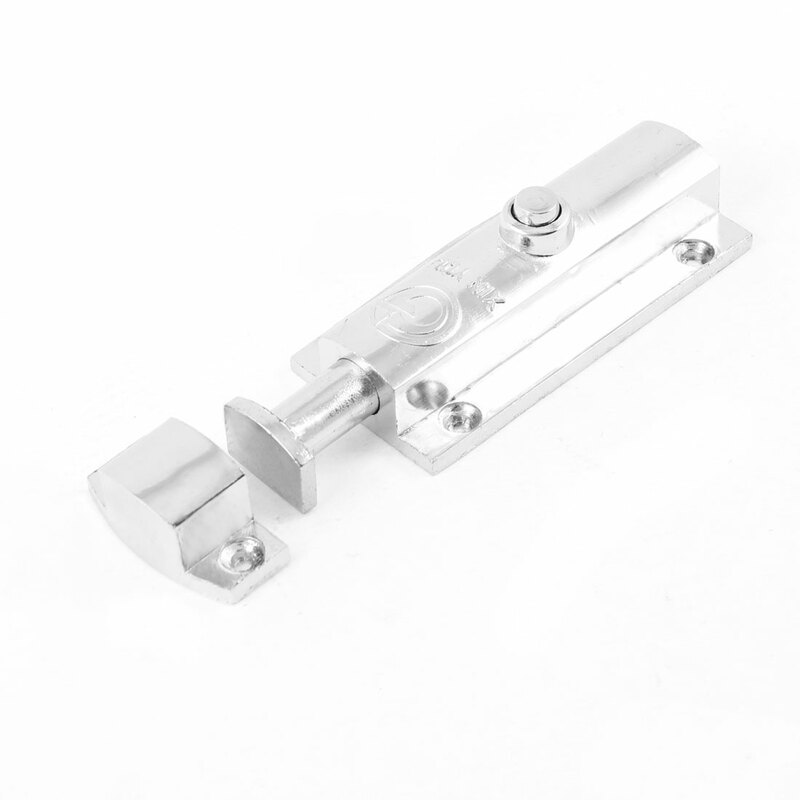 High quality door bolt provides enhanced security for doors, gates and windows. Wonderful replacement for replacing your old or damaged one. • Home Windows Doors Security Barrel Automatic Door Bolt Guard Latch Lock 4"